Small - £89.99 Only 3 left! Medium - £89.99 Only 3 left! Large - £89.99 Only 2 left! Welp, it happened. You got your big field promotion. You're an admiral now! And you've got to land some troops beyond the energy field, command some AT-AT walkers, and smash the rebel outpost to smithereens. Think you're up for it? Of course you are! You've been training and getting ready for this your whole life. And like most successful people, you've been dressing for the job you want, not the job you have. And that's why you're going to be wearing this women’s premium Imperial Officer costume. Authentically styled straight From the Star Wars films, this premium costume will have you ready for the bridge of a star destroyer. (Or for the Star Wars convention if you're looking for something a little closer to home.) You just never know what's going to happen when you sign up to help Darth Vader. Hopefully, you'll get to beat up on some rebel scum! 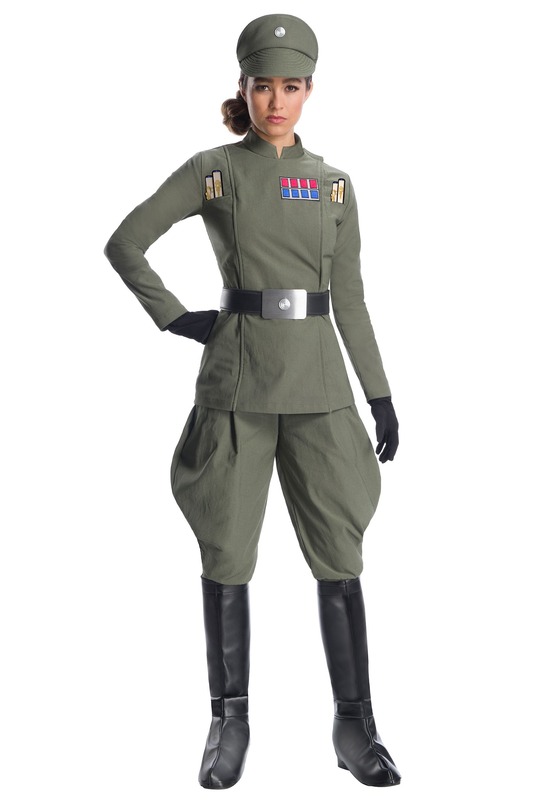 This premium Imperial officer costume is ready to give any woman the look needed to fit in with the high command of the empire. This costume is Disney and Lucasfilm officially licensed, and designed to be a screen accurate replica from the original Star Wars films. Star Wars fans are among the best when it comes to fandoms that love costume fun, and if you've never tried it before, well, now's the time! And don't think twice about signing up with the bad guys by choosing this Imperial costume. Someone's got to be the bad guy, after all, otherwise who will the Rebels end up defeating! ?